For years Peter Speake-Marin’s watch designs have drawn collectors in search of original design and technically impressive watchmaking. Since 2008, the British -born, Swiss-trained watchmaker has focused his creative watchmaking solely on his own eponymous brand, at first developing his signature large-crown Piccadilly, but adding today’s slightly thinner Resilience models, new watches for women and numerous emblematic designs. 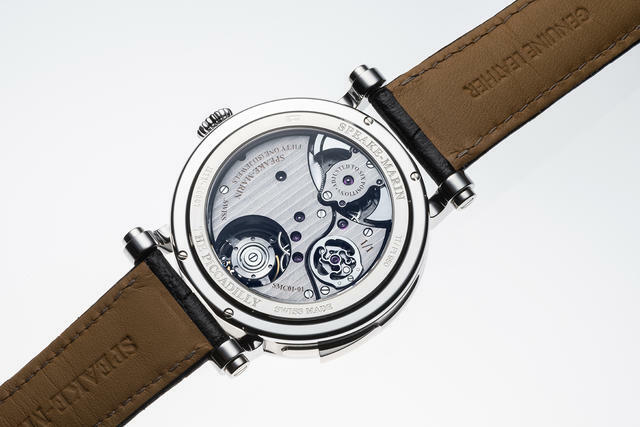 In recent years Speake-Marin has debuted a host of artistically tinged collections known as Spirit (British military designs), J-Class (nautically influenced models) and Cabinet des Mysteres, wherein Speake-Marin regularly debuts limited editions emphasizing unusual dials and imaginative complications. 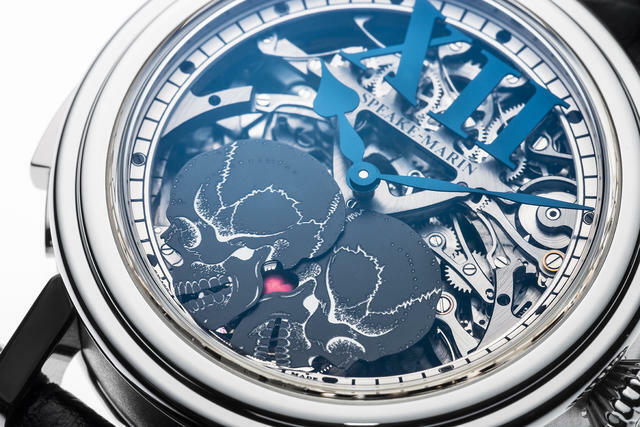 Within the latter collection, Speake-Marin at SIHH 2017 added Crazy Skulls, an appropriately named 42mm titanium watch with two aluminum skulls merged to form a single heart on its dial. 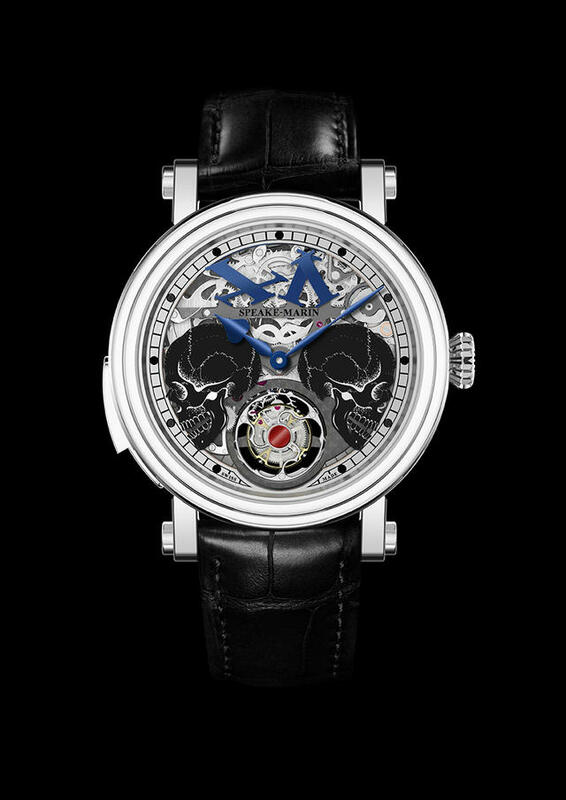 When the wearer activates a slider at 9 o’clock, the two skulls separate and a Speak-Marin tourbillon emerges from beneath. These two moving skulls are not the only action set into motion by moving the slider: as the skulls separate to display the tourbillon, a minute repeater carillon chimes to musically celebrate the event with a medieval tune. At the same time, the two Roman numerals of the 12 fall apart on the dial, symbolizing the despair of the two lovers (whose united skull/heart has split). Then, just as the hammers strike three gongs, the heart is reunited and the Roman numerals are reconstructed to read XII. As a result, Crazy Skulls combines skulls, broken hearts and medieval music together in one watch. Finally. 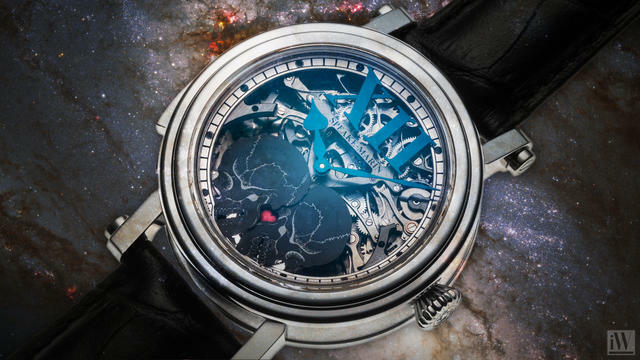 While the Crazy Skulls will be made as a limited edition of only two pieces (with an option of black or grey skulls), Speake-Marin also added several new models for slightly wider release during the show. 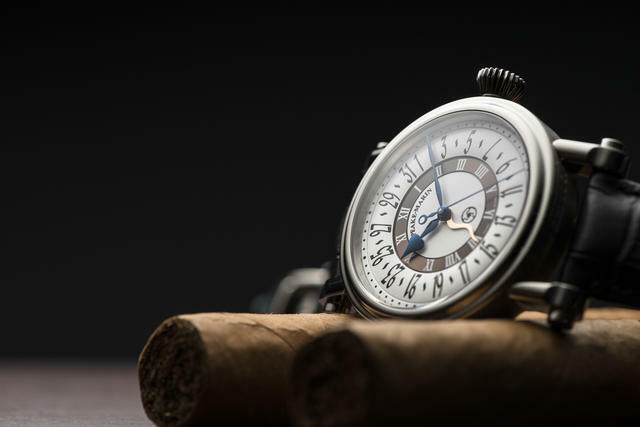 One of those was a newer update of the popular Serpent profile, which Speake-Marin had previously redesigned, altering the dial, the case and the hands. This year, Speake-Marin also adds a brown snailing hours chapter ring and, per its name, an oversized calendar indication. And, in an interesting (and literal) twist that I haven’t seen anywhere else, Speake-Marin has offset the large calendar date ring. 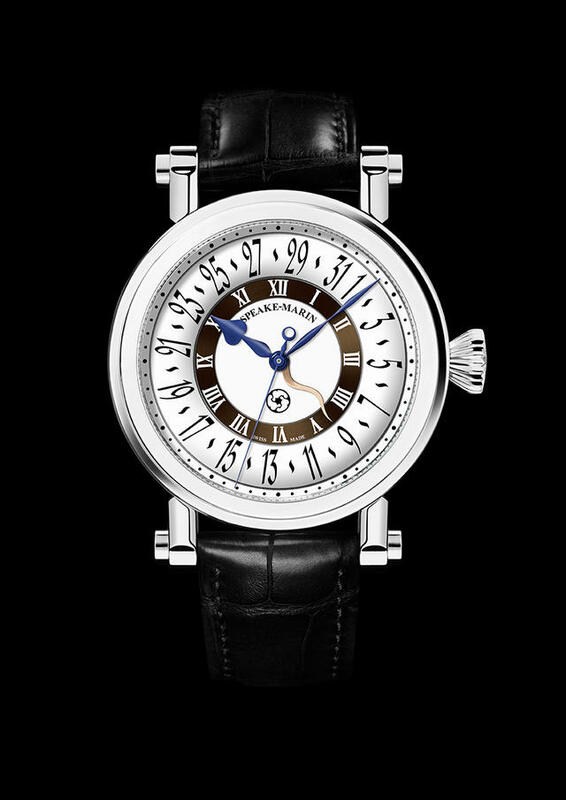 Rather than ending and re-starting the date ring at the top or bottom of the dial, Speake-Marin twists it to start and end at the 1.30 position. The remainder of the watch echoes the Serpent collection with a multi-layered, bright white dial set into a 42mm titanium Piccadilly case. The Serpent Calendar indicates central hours and minutes with Speake-Marin-style blued hands and the date with a golden sculptured Speake-Marin calendar hand. As with the other Serpent models, the new Brown Serpent calendar is equipped with a Vaucher 3002 automatic movement. The new Brown Serpent Calendar is a limited edition of 28 watches. DIAL: Skeletonized with two skulls in aluminum. Roman numerals at 12. Minute repeater with animation of the dial.